The Advisory Board of College of Mass Communication at Al Falah University met in the presence of Prof. Abdelhafid Belarbi, President. Prof. Belarbi welcomed the members and appreciated their role in supporting the university’s continuous development. He also stressed the importance of meeting with the community institutions in order to develop the educational and learning process and to benefit from the opinions of experts and specialists in program development. 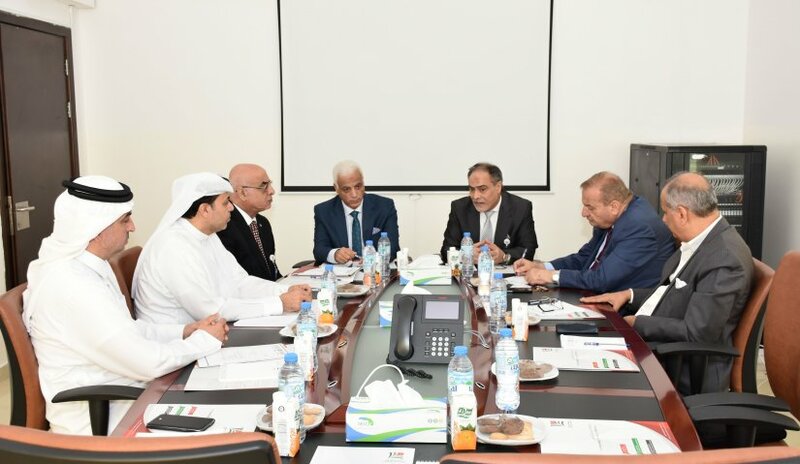 Members of the Advisory Board, chaired by Dr. Khalid Henedi, Dean of the College of Mass Communication, also discussed the meeting’s main agenda: Master's programs in Media Studies proposed by the College, as well as organizing workshops on Media Studies. The dialogue between members included proposals of great importance which will be the subject of interest and in-depth study by the College and the University in the next stage.